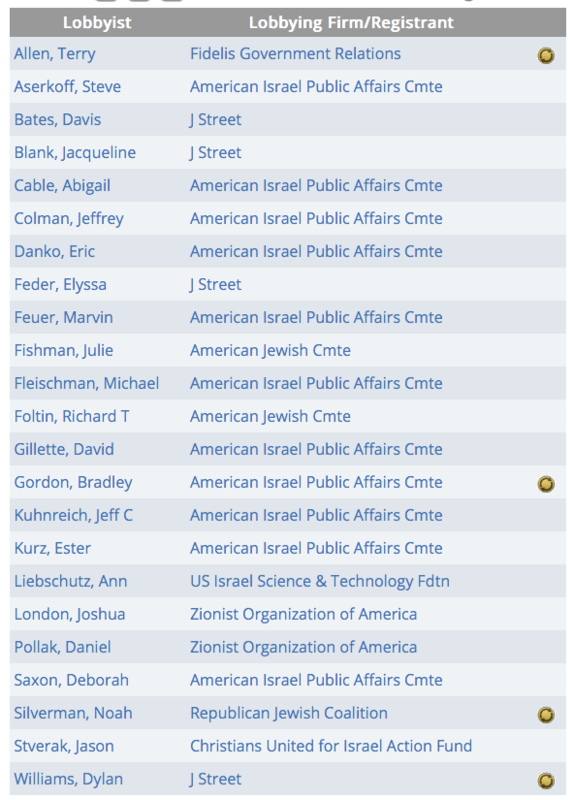 Obviously, the pro-Israel “industry” is not a massive donor like the Securities and Investment, Real Estate and Legal industries but it is still a substantial player in Washington when it comes to “buying” political influence through political donations. 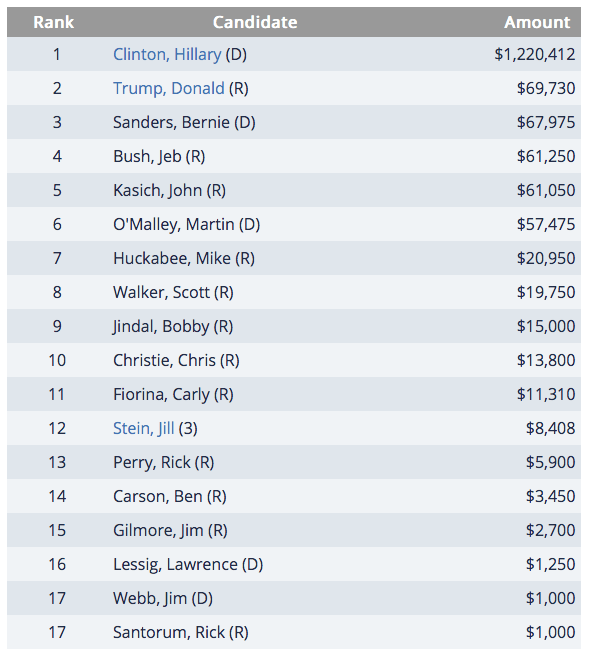 Look who appears at the top of the list – none other than Democratic candidate, Hillary Clinton! 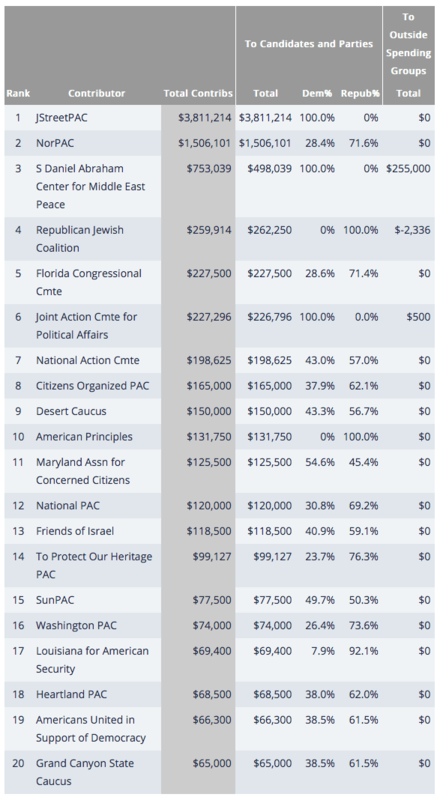 The latest election year saw the greatest amount spent by the pro-Israel sector with $4,537,343 spent in 2016. A decade ago, that amount was only $1,779,535 or about 39 percent of the spending in 2016. 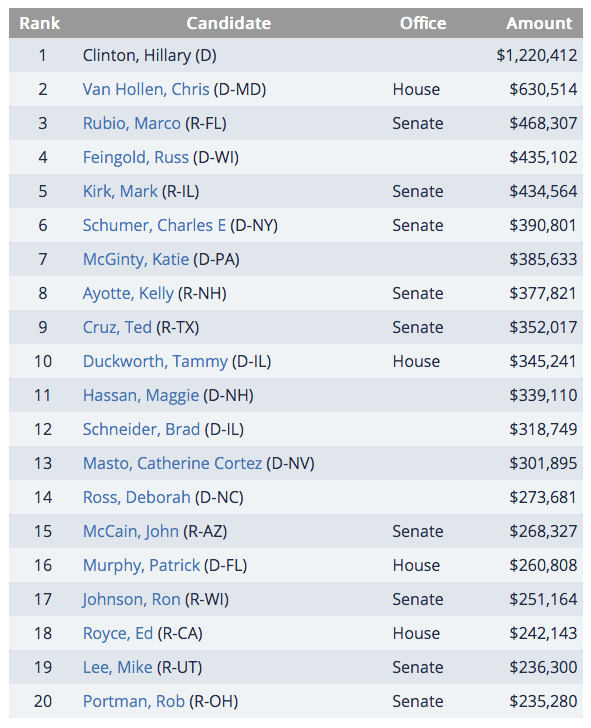 Not surprisingly, the American Israel Public Affairs Committee or AIPAC was responsible for the vast majority of the pro-Israel spending on getting legislators to see things Israel’s way in 2013. Of the 23 reported lobbyists, 4 or 17.4 percent are classified as “revolvers”, that is, former federal employees who are now employed as lobbyists. It’s interesting to see that at least one of the “revolvers”, Gordon Bradley, has been employed as a political analyst by the Central Intelligence Agency, and has served on the Senate Foreign Relations Committee twice prior to his employment by AIPAC in 1995. He obviously has an inside track to influence decision-makers. In closing, let’s switch gears for a moment. According to the Jewish Virtual Library, since 1949, U.S. foreign aid to Israel has totaled $129.808 billion with $79.823 billion of that being the military aid and $30.897 being the economic aid. Military aid has steadily risen from around $300 million annually in the early 1970s to $3.1 billion annually in the period between 2013 and 2017. There is no about; Washington is a big investor in Israel. 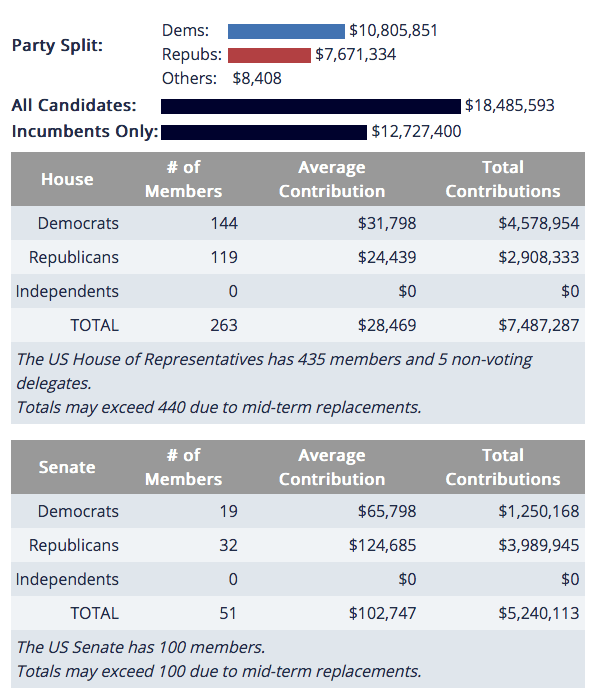 Obviously, Israel has a great deal of interest in what happens in Washington, so much so that the pro-Israel “industry” is willing to spend tens of millions of dollars to “influence” elections and lobby Congress to stay on the good side of its long-term American benefactor. But, somehow and in some way, that’s different than the allegations of Russian “influence” during the 2016 cycle. Previous Previous post: The JDL always get their Man.